The heads have moved – is this houston? 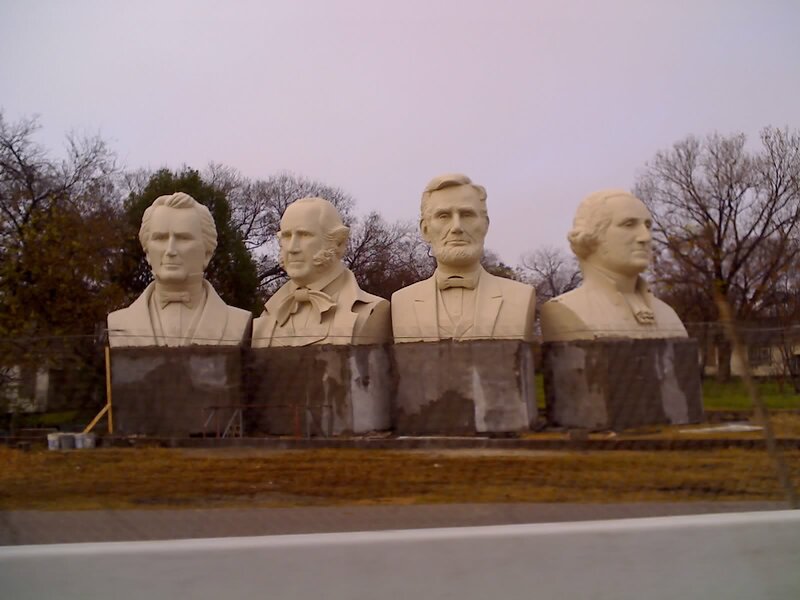 Four of the presidents heads created by David Adickes have sprung up along I-10 just West of Downtown. Looks like Honorable Abe, Washington and two others I don’t recognize? Which two don’t you recognize? Good guess, but no. The statues are collectively called “A Tribute to American Statemanship” and include two national figures and two Texans. From left to right: Stephen F. Austin, Sam Houston, Lincoln, Washington. Thanks for the clarification, they look nice now with the base of the sculptures painted green.